The first stage of HMRC's Making Tax Digital (MTD) programme focuses on VAT, and imposes new requirements for digital recording keeping on VAT registered businesses and organisations from April 2019. 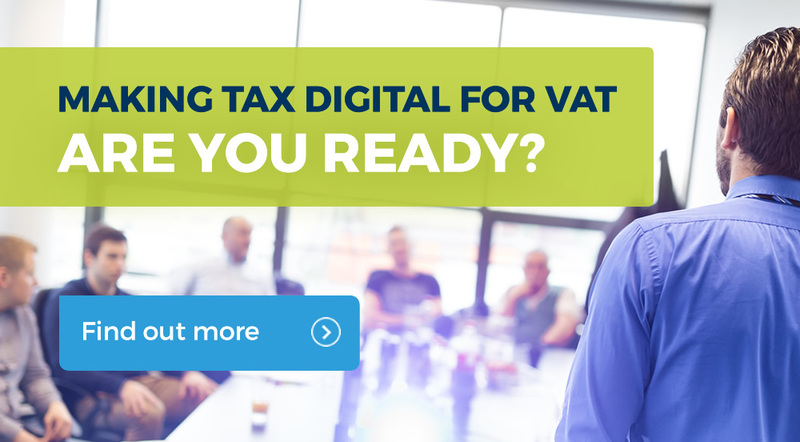 Read on to find out whether Making Tax Digital for VAT (MTDfV) will affect your business. Businesses within scope will need to acquire a suitable software product or appoint an accountant to submit returns to HMRC on their behalf. HMRC’s online VAT return will remain available only to businesses that are voluntarily registered for VAT (ie, businesses that complete a VAT return but have taxable turnover below the VAT threshold). The MTDfV requirements will apply to all VAT registered businesses and organisations with turnover above the VAT threshold of £85,000. This includes unincorporated businesses, partnerships, companies, LLPs, trusts, non-UK businesses registered for UK VAT and charities. VAT registered businesses with turnover below the VAT threshold can opt in to MTD, and file their VAT returns using MTD compatible software, but there is no obligation to do so. There is a 6 month deferral period until October 2019 for some of the more complex business, including VAT groups and trusts, and we are able to advise on which businesses meet the deferral criteria. When working out taxable turnover you should include standard rated, reduced rated and zero-rated supplies; and exclude outside the scope and exempt supplies. The relevant period to be considered when determining whether the MTDfV requirements apply, is the same rolling 12 months that applies when considering whether a business must compulsorily register for VAT, but there is no rule that looks forward. When MTDfV starts, you consider the 12 months to the businesses’ potential start date for MTDfV when deciding whether the requirements apply. Even if you do not meet the qualifying turnover initially, you will need to continue to monitor their turnover to establish when you need to start complying with the MTDfV requirements. Once your business is required to comply with the MTDfV requirements, the obligations continue, even if the turnover of the business subsequently drops below the VAT threshold. Eventually, MTDfV may be extended to all VAT registered businesses, but this will not happen before April 2020. Businesses and organisations within scope, will have to keep digital records, and submit VAT returns using functional compatible software from the start of their first VAT return period beginning on or after 1 April 2019, or 1 October 2019 if they are covered by the 6-month deferral mentioned above. Annual accounting and special VAT accounting periods will continue to be available. An exemption for the digitally excluded is included in the regulations and mirrors the current exemptions from online filing for VAT. The exemptions cover those that do not use computers for religious reasons, and those that are unable to comply because of age, disability or location (or for any another reason). Existing exemptions from online filing for VAT are expected to be carried over automatically to MTDfV. Those that are not currently exempt from VAT online filing may find it difficult to persuade HMRC that the exemption should apply. HMRC is working closely with software providers to ensure a range of suitable products will be available at a variety of price points, however, we believe it is unlikely that a free software product with MTDfV functionality will become available. Digital records can be maintained in more than one program or software product. In a change to the original announcements, the use of spreadsheets, either to record individual transactions or as part of a suite of software and spreadsheets is now permitted. However, the spreadsheet will need to be either API enabled or used in combination with an MTD compatible software product so that data can be sent to and received from HMRC systems; an existing spreadsheet alone is not a free way to comply with the MTDfV requirements. The requirement to keep digital records does not mean that businesses will have to scan and store invoices and receipts digitally. Businesses can continue to keep documents in paper form if they prefer, but each individual transaction (not summaries) will need to be recorded and stored digitally. HMRC encourages records to be kept in as near to real time as possible, but it will still be possible to create the digital records at quarterly intervals, using a bookkeeper or other agent if required, provided the information is entered into a digital record keeping system at that stage. The corollary applies: if an invoice has supplies at different rates of VAT (eg, adult’s and children’s shoes) there must be a separate digital record for each rate of VAT charged. You must split the total value of supplies on the invoice, and make a separate entry in the digital records for each rate of VAT charged. This is needed to meet the requirement to have a record of outputs value for the period, split between standard rate, reduced rate, zero rate, exempt and outside the scope outputs. There is a relaxation for mixed rate supplies at a single inclusive price (eg, meal deals). How can Kirk Rice assist? Assistance in filing your returns, if you wish to keep using your current spreadsheets we can use our compliant software to upload the relevant data to HMRC. If you have any question on the above or to discuss how we may assist, please contact us directly. Any reader interested in discussing Making Tax Digital for VAT, can telephone Graham Jennings on 01344 875 000 in our Ascot office, Tim Neale on 01252 960 500 in our Fleet office or James Moody on 020 8789 8588 in our Putney office. 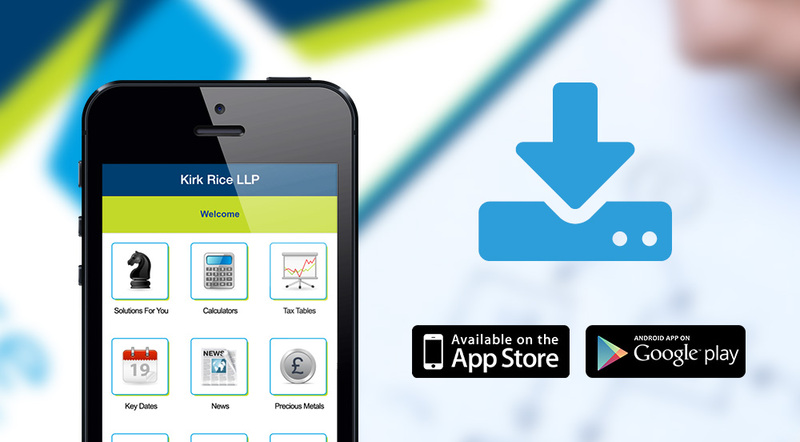 You can also email info@kirkrice.co.uk.